Data Centers are one of the quickest growing market sectors the Arctic Chiller Group works in today. The need for big data and cloud computing ensures that the data center business will continue to boom. As this sector grows, the need for more innovative and efficient cooling technology will be demanded as companies compete to gain the edge in that business. Arctic will set the pace for innovation. Arctic’s Manhattan Modular HVAC chillers allow easy field assembly of large tonnage air condition or process cooling systems without the need for heavy rigging and time-consuming assembly construction. Quiet operation and highly reliable components and controls provide dependable air conditioning and more precise load balancing. Many options exist for data centers and virtually any mission-critical application. Modular chillers are increasingly specified to accomplish variable-primary flow, simultaneous heating and cooling, load matched pumping, redundancy and obtain unsurpassed unloading capability. The new generation of Arctic chillers can incorporate multiple approaches, options and functions for large installations. Arctic’s data center chiller solution includes redundancy in capacity and controls, with no bus bar connectors. Should a data center experience a power outage, our chillers are capable of having all 24 circuits running in under 2½ minutes. Data centers realize the superior value and depth of redundancy with outstanding turn-down. Parallel modular chillers and large chiller modules including pumps, drives, towers and advanced controls are available. Condenser options include ambient air, water, evaporative condensing and cold-misting adiabatic pre-cooling. 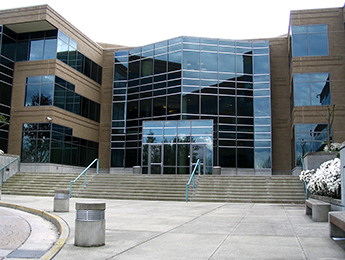 Arctic Chiller installation: Microsoft’s North American Headquarters in Seattle, Washington. Microsoft chose the Arctic Chiller Group’s Manhattan Modular chiller to cool their Seattle Data Center. Download Arctic’s Manhattan Modular Chillers brochure for more product information. 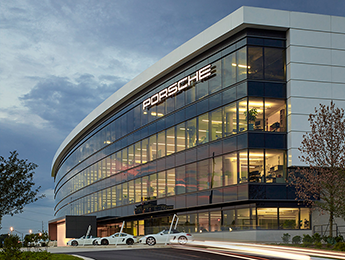 Arctic chiller intallation: Porsche’s North American Headquarters in Atlanta, Georgia. Built in 2015, this Arctic chiller installation includes (3) 75-ton modules air-cooled scroll chillers plus (1) redundant module and (1) free-cooling module and the associated redundant pumping module sized for future needs. The data center application started with only a 10-ton load, with additional modules and banks planned in the future. A modulating digital scroll was selected as the lead circuit of the lead module to handle very low load hours at project start, with exact load matching today. Arctic chiller installation: T-Mobile Data Center in Norristown, New Jersey. The T-Mobile Data Center installation features (4) Arctic 110-ton dual screw air-cooled modular chillers with redundant pumping for an eventual (7) modules and free-cooling throughout. Maximizing redundancy, efficiency, and free-cooling on a very large scale were the priorities identified by T-Mobile and the designers.